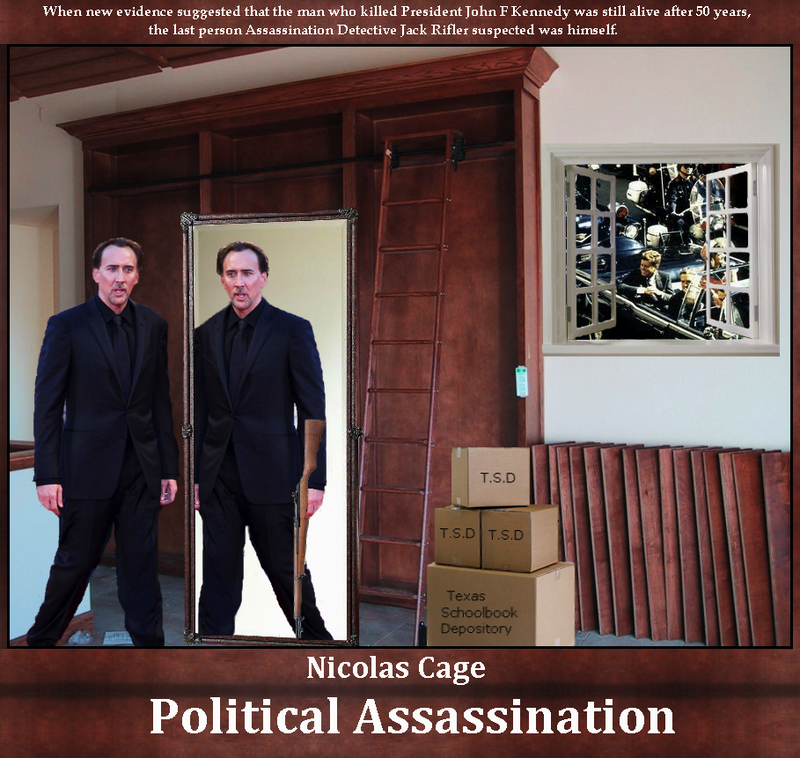 Jack Rifler (Nicolas Cage) is the world’s leading Assassination Detective. Having recently discovered the culprit behind the previously unsolvable murder of a ruthless African Despot, Rifler is the now a national celebrity inspiring both admiration from his country and jealousy from his rivals, including his former protege Maxwell Black (Bradley Cooper), who split from Rifler 3 years ago to form his own Assassination Detective Agency. One morning, while laying in bed with his latest conquest, Rifler gets a call from CIA Chief Reuben Jones (Danny Glover), a no-nonsense veteran of the government who’s seen it all, telling him that that the CIA recently uncovered new evidence that suggested the man who killed President John F. Kennedy is still at large, 50 years later. So Jack Rifler begins the hunt for JFK’s assassin, teaming up (initially against both of their wishes) with rookie Special Agent Rebecca Miller (Jessica Biel) to work out what really happened in Dealey Plaza on that warm fall day in 1963. But Rifler soon discovers this is no ordinary case. Followed closely on the trail by Maxwell Black and his team every step of the way, Rifler and Special Agent Miller stumble into a decades-old conspiracy that not only involves communism, time travel, and several false leads but maybe even Jack Rifler himself! This heart-pounding, thrill-packed adventure movie will have you on the edge of your seat as Jack Rifler moves closer and closer to uncovering the truth about one of the most famous days in the history of the United States. Ride along and follow the clues as Rifler begins to realize that what happened in Dallas on November 22, 1963 may just lead to his own Political Assassination.